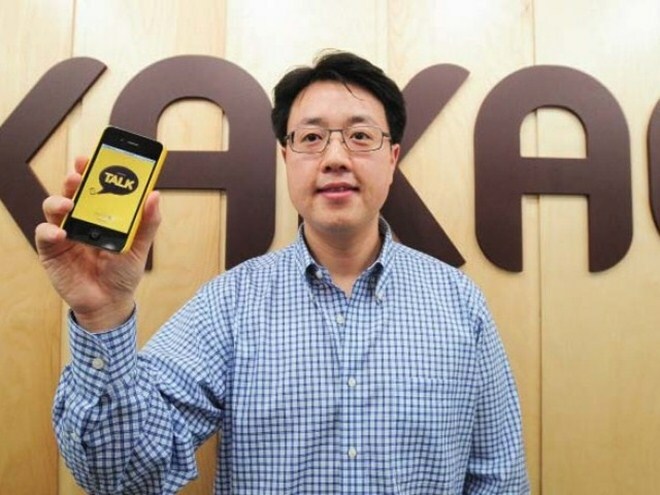 Korean mobile messaging app Kakao Talk has introduced free voice calls to its WhatsApp-like service, allowing its worldwide iPhone and Android users to make calls on the service for nothing more than the cost of data. While some messaging firms often struggling to provide a quality calling experience, Kakao Talk is confident that its service competes on a level footing with the industry leaders, and certainly our initial experiences have been impressive. “Our mobile VoIP call quality is on par with services like Skype and Viber,” a company spokesperson told The Next Web. Interestingly, the calling feature has been made open to the service’s 9.2 million international users but not those in Korea itself, leaving its 36 million home-based user base disappointed, for now. Mobile messaging has become a global phenomenon with firms like WhatsApp stand accused of ‘stealing’ operator revenue as users opt to chat over apps rather than send an SMS. Those accusations are likely to ratchet up as services like Kakao Talk joins rival Line and others in offering free calling, putting operator’s voice revenue under pressure too. For now, operators in Korea can rest easy as Kakao Talk isn’t introducing the feature there. Given that the company says it has an impressive 98 percent attachment rate to smartphones, which are owned by more than 50 percent of mobile users, any move could see a significant loss in earnings. Kakao Talk is placing great emphasis on moving into overseas markets as it looks to scale up its service. In particular the Middle East and Southeast Asia are key growth regions, and that explains why it recently launched an app for BlackBerry, a platform that app makers are abandoning rather than joining. The service sees an impressive 21 million log-ins daily (close to half of its total), the spokesperson said, and the firm has continued its impressive growth this year. We last looked at the company in January, when it revealed that it was processing 1 billion messages per day, and that figure has since risen by a third to hit 1.3 billion. Kakao Talk’s monetisation strategy is focused on connecting users with brands and relevant content. The company signs up companies which then provide services or offers to users that choose to follow them, Kakao Talk bags a portion of the revenue or transaction involved. Strictly opt-in, entertainment brand have been a particularly successful vertical for the service. The company has a roster of more than 100 brands in Korea, and it is actively extending its marketing push into overseas areas. A number of Korea’s K-Pop stars have a presence on the app, through which they provide music and multiple media exclusively to fans. While that side of the business has seen success in region’s like Southeast Asia — in line with K-Pop’s rise worldwide — Kakao Talk is aiming to recruit more businesses to the service, with a particular focus on lifestyle services. Gaming is next on the horizon and Kakao Talk reveals that it is preparing to release its ‘Game Center’ service with the second quarter of 2012, having already signed up a number of developers from Korea. A Windows Phone app is also in the works and its “imminent” arrival will boost support beyond Android, iOS and BlackBerry.